In this tutorial you will be learning basic techniques in Photoshop, such as using layer styles, brush and pen tool and effects. 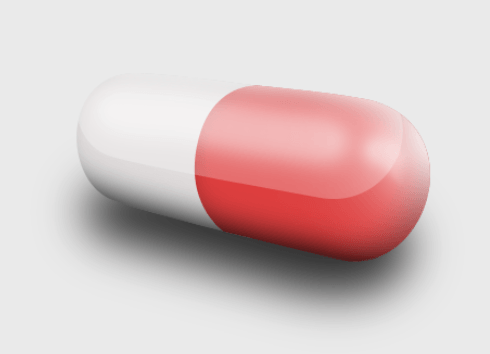 The end product will be a glossy pill icon, useful as a logo or an illustration. The tutorial is suitable for absolute beginners. In our latest Adobe Photoshop tutorial, I will show you how to create a professional looking layout for a construction company. This tutorial that will take advantage of simple gradients to produce a nice effect. It is a pretty long tutorial, but it should be simple enough for newer Photoshop users to follow along. This tutorial will walk you through using PHP to select entries from a database based on the text that is entered into a textbox on the site. This guide will also walk you through making the insert script to insert the comments into the database as well as help you make the database. This is tutorial will demonstrate a very simple way to change color using Adobe Photoshop. We will be changing the color of the “racing stripes” on a car. This tutorial is a little different form our standard Photoshop tutorials. Normally I would show you how to make a web layout or menu in Photoshop, but I never really went into detail on how to make the layouts work on the web. In this tutorial I will show you how to make a simple menu using Photoshop, slice the images, and how to write the code for a functional menu. In this tutorial we will create a “web 2.0” (I’m sorry I had to say it) style rounded button. This tutorial will show how to create a very simple abstract shape using a few brushes and effects. For this tutorial I will be using Adobe Photoshop CS3. If you have an older version of Adobe Photoshop, you may still be able to follow this tutorial. This tutorial will show you how to create a website header similar to the on use on the social book marking site digg.com. I will be using Adobe Photoshop CS3 for this tutorial. This tutorial will show you how to create a layout for a web hosting company using Adobe Photoshop. This Adobe Photoshop tutorial will show you how to create a clean looking layout for your personal portfolio website. The effects use here are very simple and novice Photoshop users should be able to follow this tutorial fine. I will be using Adobe Photoshop CS2 for this tutorial. I plan to upgrade to CS3 later this week, so look for more CS3 tutorial in the future. This Adobe Photoshop tutorial will show you how to create blue text with a chrome background. For this tutorial I will be using Adobe Photoshop CS2. However, this effect can be achieved with most newer versions of Adobe Photoshop. This tutorial will show you how to create a brushed metal logo with blood splattered over top.